Few have seen the likes of the beautiful bottle in this image. This is the rare 1919 Guerlain bottle created by Baccarat to a design by Raymond Guerlain for the perfume MITSOUKO (which in Japanese means Mystery). 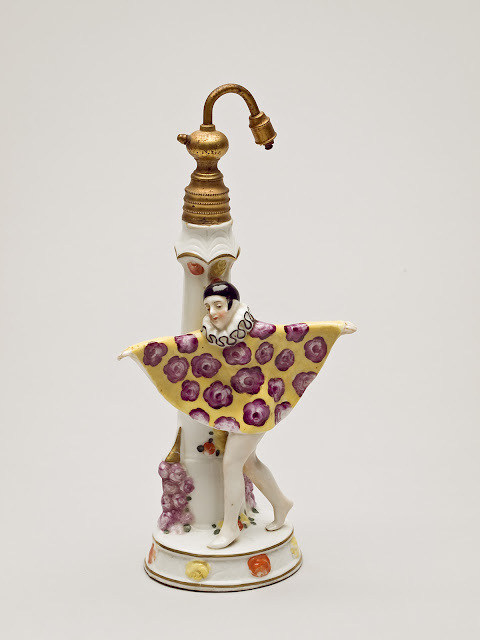 The bottle is made of glass crystal with both stopper and bottle having been issued with matching etched numbers which indicates that a limited number of this designer bottle was produced. The bottle in this picture still contains some of the original perfume and its box is intact, which makes it even more rare. 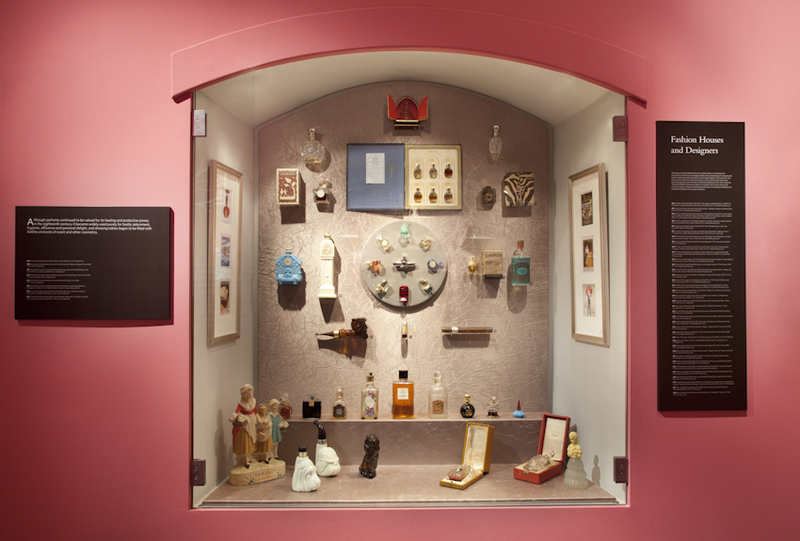 This marvellous perfume bottle is just one of the 250+ scent and perfume bottles on display in an exhibition called Scent Bottles – From Ceremony to Seduction, presently at Palazzo Falson Historic House Museum, located in the old city of Mdina on the Mediterranean island of Malta. 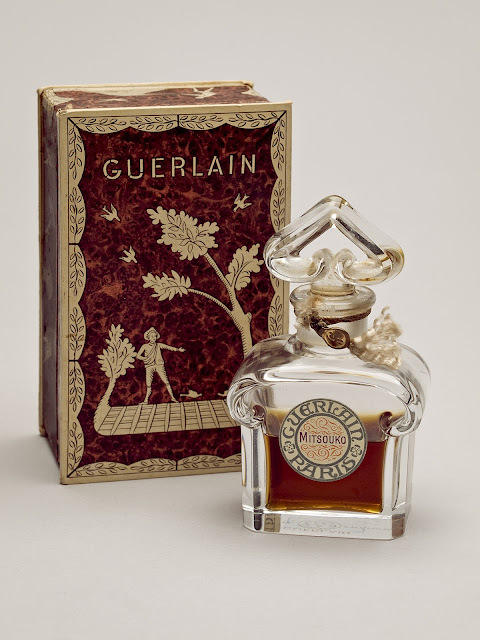 I was particularly impressed with the beautiful dressing table bottles made out of Murano glass, Cranberry glass, Mary Gregory glass, Bohemian Cut Crystal.... Then were was a perfume bottle designed by Lalique and an exceptional vanity box dating back from the Napolean III period containing perfectly stored bottles and containers made of glass and porcelain. 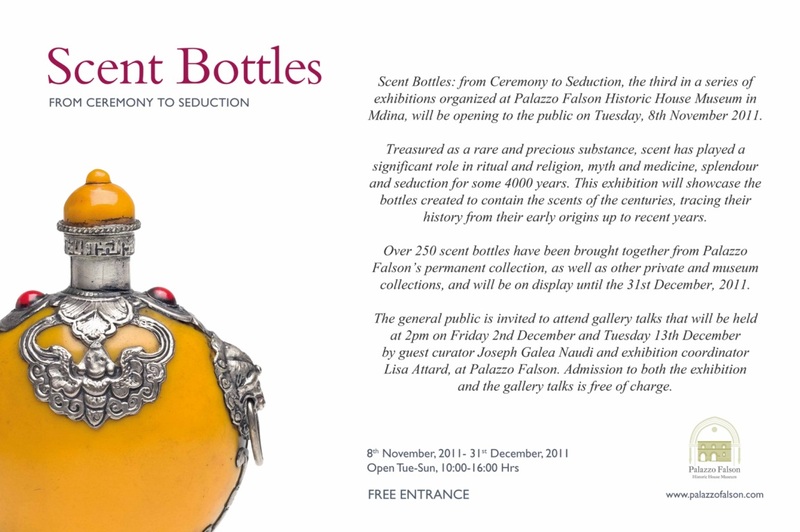 Scent Bottles – From Ceremony to Seduction will be at Palazzo Falson Historic House Museum, Mdina, until December 31, 2011. Opening - Tuesday to Sunday 10.00 – 16.00 hrs. Admission is free of charge. 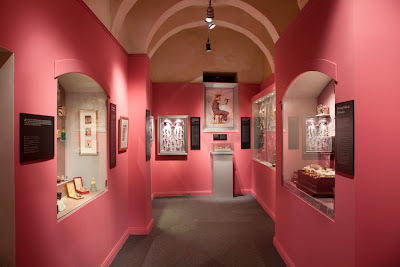 For more information visit www.palazzofalson.com. Labels: Ceremony, exhibition, Malta, Palazzo Falson, perfume, scent bottles, Seduction, Where on Art...? What a beautiful and interesting post! !